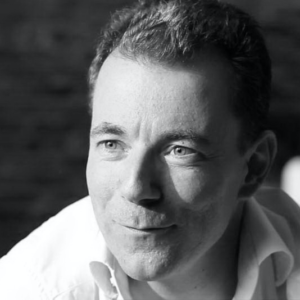 How Serial Entrepreneur Guillaume Decugis Grew ScoopIt to 200 B2B Customers & 4M Freemium Users! Hey everyone! In today’s episode, I share the mic with Guillaume Decugis, Co-Founder and CEO of ScoopIt, which is a B2B software that allows businesses and individuals to curate and publish the best possible content. Tune in to hear Guillaume shed some light on his 15 years as an entrepreneur, how he attempted to build a mobile widget platform, and how he grew Scoopit to 200 B2B customers and 4 million freemium users! [00:32] Before we jump into today’s interview, please leave a review and rating and subscribe to the Growth Everywhere Podcast! [01:25] Guillaume has been an entrepreneur for 15 years, but a failed project got him into content marketing. [01:58] He realized that content was a new way to drive marketing and visibility. [02:56] It’s serves as a great way to get people into content marketing. [03:15] Content intelligence is an important step in the journey, which involves analyzing past content. [03:45] ScoopIt has helped increase the amount of marketing content a company creates using their system. [04:15] ScoopIt curates content and you can pick and choose what you post. [04:48] They integrate with CMS, Hubspot, Mailchimp, etc. [05:03] ScoopIt seeks to help you manage the content lifecycle efficiently. [05:12] They are a B2B SAAS. [06:00] Mid-market companies could typically spend $6-8K/year. [06:09] Enterprise companies could be a multiple of that amount. [06:41] The bulk of their revenue is from B2B sales/contracts. [07:00] Their free model got some traction, but the numbers weren’t high enough to generate significant revenue. [07:42] They launched their B2B model in 2015. [08:03] The freemium stage was the hardest phase. [08:25] Guillaume attempted to reach sales goals himself, instead of dealing with a sales team. [08:52] This helped him learn and figure out their pricing strategy. [09:42] ScoopIt has about 200 customers on the B2B side and 4 Million through their freemium service. [10:15] A lot of people use the freemium before upgrading to the full product. [11:11] They have been measuring content for impact and quality, then analyzing with natural language processing. This is all a new feature of ScoopIt. [12:22] Content is becoming an investment. [12:50] ScoopIt tries to take the guess work out of this investment. [13:07] They want to move from an artistic vision of content marketing to one that is driven by data. [13:15] They seek to bring more predictability to content marketing success. [13:34] Their first B2B customers were acquired through the freemium model. [14:17] ScoopIt has gained in popularity through using their own content marketing strategies. [14:54] They use content to nurture and qualify the users they have on the free platform. [15:10] Their content drives people to a B2B funnel. [16:03] They try to have a constant stream of blog posts distributed through various channels (social, etc.). [17:55] Ten years ago, they tried to build a mobile widget platform. [18:25] When Apple launched the App Store, it was a big wake up call to the ScoopIt team, because they were beaten to the punch. [19:00] Guillaume thinks they were too self-focused and missed signs that could have told them what was coming in the future. [20:00] Guillaume’s first company was acquired by Open Wave for $120 Million. [20:24] Open Wave invented the first mobile browser. [20:35] The company was pretty hot when they acquired Guillaume’s company (a digital music platform). [21:00] After 9 months, Open Wave began to sink. [21:28] Guillaume eventually found a partnership with Microsoft. [22:45] Guillaume likes Full Story and thinks it has helped his business. [23:07] They are a system that lets you see what your users are doing with the software. [23:40] Guillaume recommends the blog by Tom Tinguns at Threadpoint . [24:25] He also recommends the Ken Follet book The Column of Fire.